Leadership in a company is deemed as one of the most integral parts of company success. Specifically, employee overall satisfaction is commonly linked to the management within the work place. According to this Fortune.com article, one of the top reasons why people leave their jobs is that they don’t like their bosses. Bosses can make or break a staff. One of the hardest hurdles to go over in our journey to management is the path to leadership. Leadership brings great responsibilities on many fronts. We have all had good bosses at some point in our career, but what we commonly lack is great leadership. 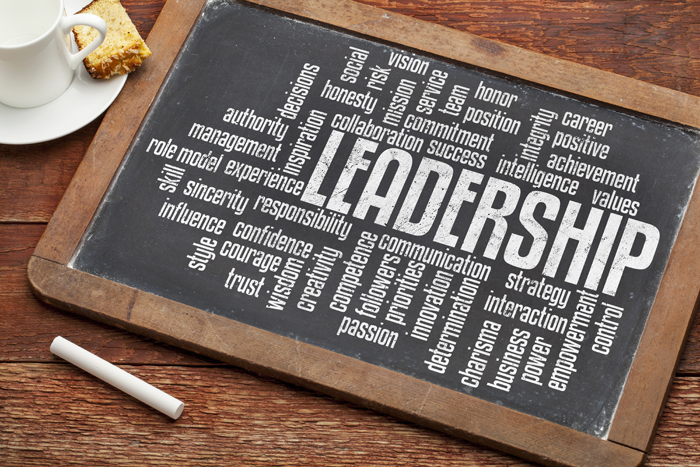 Some say we are born with leadership skills, yet what really makes a good boss, a great leader? We have complied a list of the top 9 qualities of being a great leader below to help you become a great leader your self. A good leader coaches the team. Through motivation a leader coaches his/her team by encouraging training and skill development. A good leader promotes growth through offering additional responsibilities and workshops to keep staff cross trained and challenged. Good Leaders do delegate to show build trust in their team. A good leader leads by example. Showing that hard work is being completed on every level is one of the best motivations for your staff, leading by example is an excellent way to gain respect, show dedication and example of hard hard work. Mixing your hands in with all staff will promote a positive and seemingly fair environment. Strength in unity is crucial. Encouraging staff to work together keeps the pep in their step. Positivity can be encouraged by keeping the department at a fine line of productivity and friendliness. This can be achieved by lunch-ins, office treats and simply smiling. Smiles are contagious. Remember that treating all staff equally and personally will promote company moral. A good leader believes there is no I in team. Working together as a team traditionally brings a higher level of productivity. Helping you staff complete the daily tasks when they have a lot on their plate is a great leadership skill. Try bringing some team building activities to the table. A good leader gives credit where credit is due. Leaders embrace and endorse employee’s ideas and success. Recognition for good work keeps staff motived to produce. A good leader takes ownership. Don’t pass the buck, Take ownership for your team. If a mistake is made, step back and think about owing it and review your training guidelines. A good leader is a visionary that sets out a strategic plan including the resources and tasks for all teammates to succeed. A good leader is honest. Often, it is found that good leader communicates often and in various ways with their staff. Keep the pipeline transparent. Don’t keep secrets. “People fail to get along because they fear each other; they fear each other because they don’t know each other; they don’t know each other because they have not communicated with each other.” Martin Luther King. A good leader is understanding. Understanding that staff members are human beings and not just a number. We have recitals, sports games, and children who get sick. Understand and provide support for staff is crucial in staff satisfaction. Sometimes a simple “Leave 30 mins early to see your son/daughter play” will create deeper levels of respect and staff will be happier. Do you have a great leader in your life? Tell us about them and what traits stick out to you. Comment below!